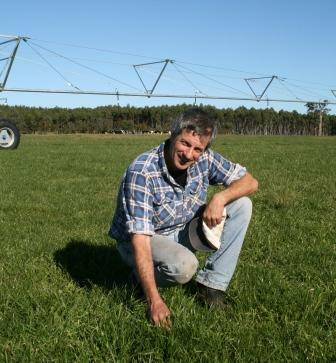 East Gippsland Water has been receiving a number of enquiries from local farmers, sports and community groups keen to connect to its recycled water supplies as an alternative water source. Amongst those to benefit are Newmerella-based dairy farmers Neil and Veronica Joiner and the Tamcal Livestock beef farm in Swan Reach. Both farming businesses are supplied with recycled water by underground pipeline from East Gippsland Water’s nearby wastewater treatment plants. 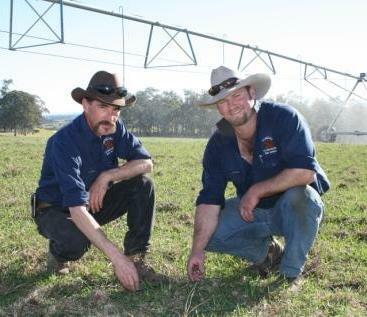 Delighted by the benefits of recycled water are: Newmerella-based dairy farmer Neil Joiner; and, Trent Howell, Farm Manager for the Tamcal Livestock farm in Swan Reach and Tamcal’s Matt Wilson. East Gippsland Water serves an area of 21,000 square kilometres in the far east of Victoria, which boasts some of Australia’s most diverse and spectacular scenery and a population of around 45,000 people. Website best viewed in Firefox, Chrome, Safari.